Ellen Petrie grew up in Southport, Lancashire with her mother after her father was killed in the first world war. She married a man named Jackson in 1939 and together they went to live in Liverpool. They had a son together but tragedy struck when both he and her husband were killed during an air raid on Liverpool docks. After the war Ellen moved north to Glasgow and in 1952 she met and married John Petrie. 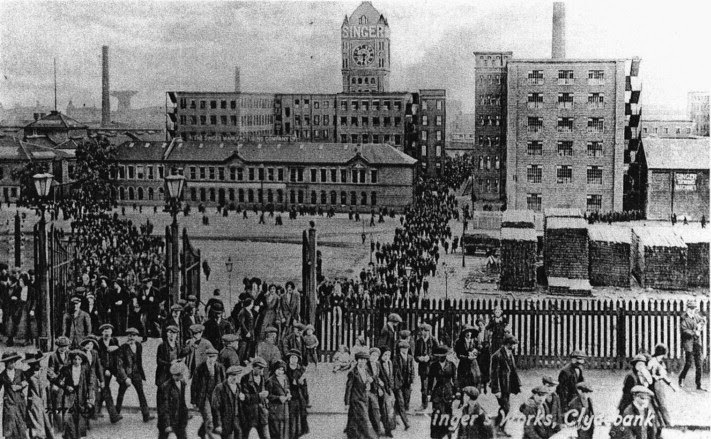 They went to live at 160 Curle Street in Whiteinch, her husband worked at the nearby Singer sewing machine factory in Clydebank. However this happiness was cut-short when, only two years after they wed, her husband died suddenly in 1954. Ellen moved between low-paid jobs to support herself and in June 1956 she found herself working at a women's hostel in Carrick Street, Anderston. Many of the residents were alcoholics and most had turned to prostitution, and Ellen soon found herself turning to prostitution to supplement her meager income. 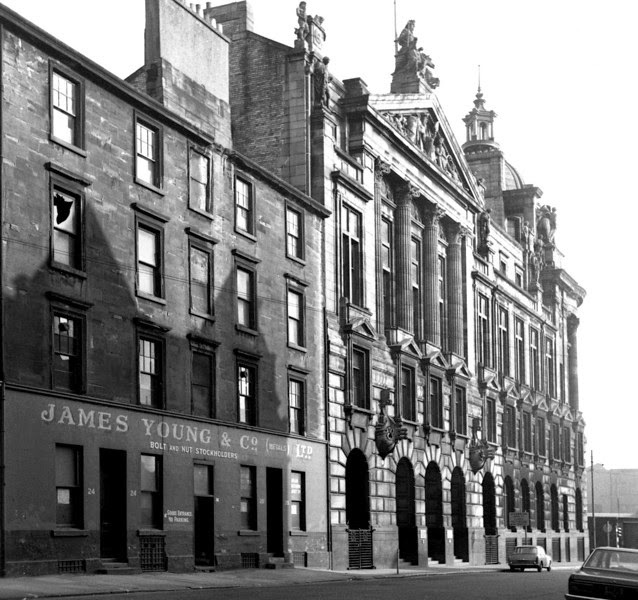 On the evening of Friday 15th June 1956 finished her shift at the hostel at 7pm and then called at a public house on the corner of Argyle St and Carrick St. In the pub she chatted with many of the hostel's residents and she also made the acquaintance of a man who bought her a drink. He was later described as well-dressed, between 40 and 50 years old, medium height with receding brown hair. At about 9.10pm that evening Ellen was seen by witnesses standing outside the bar with her back against the wall of the pub locked in a passionate embrace with the man, much to the amusement of the many passerby's. Eventually the pair moved off and were seen 10 minutes later walking across Bothwell St into Pitt Street. About 10.20pm that night, John McIlvenna, a bakery worker went to the back of his premises in West George Lane only to find the body of Ellen Petrie lying on the doorstep. Covered in blood, Ellen was lying on her back with her skirt lifted up and twisted around her waist. One of her shoes and one of her stockings were missing and a large 'V' shaped wound had been carved on the inside of her exposed thigh. 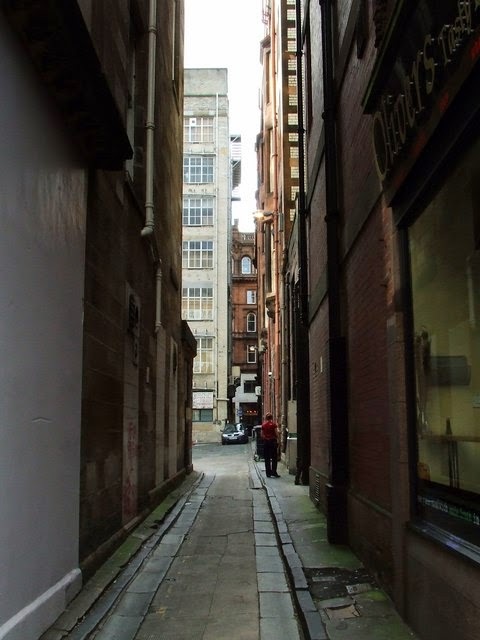 When the police arrived, one of the officers recognized her from previous dealings and was able to share that she was known by the street name of 'English Nellie'.Over the course of the weekend police identified 'English Nellie' as Ellen Petrie of 76 Hill Street, Garnethill. The police then broadcast an appeal for a man who had been seen in Ellen's company on the evening in question and had reportedly been seen by one witness running out of the lane just minutes before Ellen's body was found. 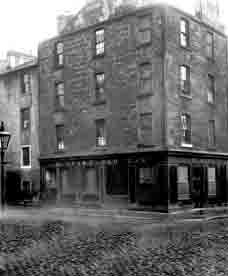 Police spent the weekend canvassing the pubs of Anderston trying to piece together the final movements of Ellen Petrie. Detectives began linking Ellen's murder with two similar attacks on women in the area in the previous eight weeks. In April Mrs Margaret Davies or 'Ginger Margaret' as she was known, was attacked and severely injured in Brown Street while on a 'date' with a man she had met once before. He had walked her home to the women's hostel on Carrick Street (the same hostel where Ellen worked) but as she walked away from him he called her back. The man then punched her in the face, knocking her to the ground before producing a knife and proceeding to slash at her body and throat. Luckily, Davies managed to get to her feet and run into the hostel. Then in June, only two weeks before Ellen's murder, 31-year old Ina McDonald was attacked and assaulted in Robertson Street. She had met a man in a local public house and was walking with him on Robertson Street when without any warning he dragged her into a close mouth and started slashing at her with a knife. Ina's screams brought the attention of residents who found her bleeding profusely on the stairwell from a slashed throat, miraculously, she survived the attack. Each of the women had injuries on their upper thigh and each women had their throats slashed. The description of the man who attacked Margaret matched Ina's attacker and both were identical to the man seen in Ellen's company the night of her murder. The women at the hostel were scared to go out at night saying there was a maniac on the loose. 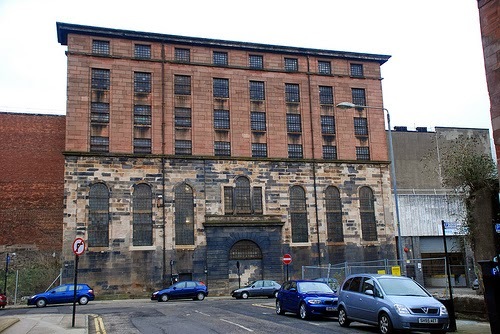 Additional officers were drafted to patrol the Anderston area in efforts to catch the man responsible but after two weeks complaints were made by local businesses that the extra patrols were affecting trade and even the local prostitutes complained that their clients were being chased away. As with the previous two cases within a few weeks the Petrie case went cold. In 1958 serial killer Peter Manuel allegedly confessed the murder of Ellen Petrie. 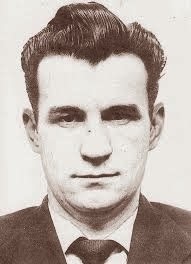 However he was never interviewed at length about his involvement and when his photograph was shown to both Ina McDonald and Margaret Davies they failed to identify him as their attacker. Furthermore, all the descriptions of the man wanted in connection with the murders state that the man was between 40 and 50 years of age but Manuel was only 29 at the time of the murders. Another fact to consider is that, while Manuel had attacked women with a knife, he had never gouged the distinctive 'V' shape into the thigh as featured on the three Anderston victims. After the murder of Ellen Petrie there were no more attacks, the reason for this sudden stop is a mystery and the case remains unsolved to this day. Can I ask where you found information about this case? I've been trying to research it, and everything keeps circling back to this blog and nothing else.